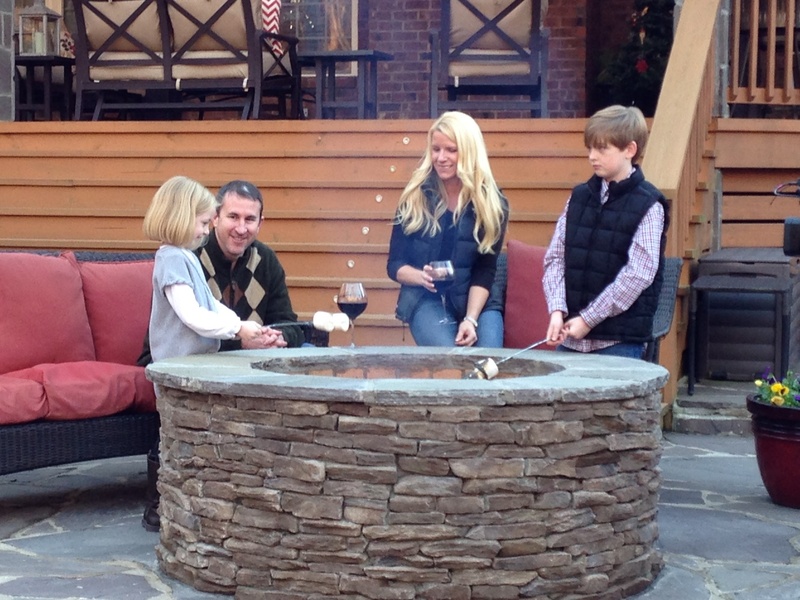 When it comes to Columbia, SC, outdoor living, anytime is the right time! 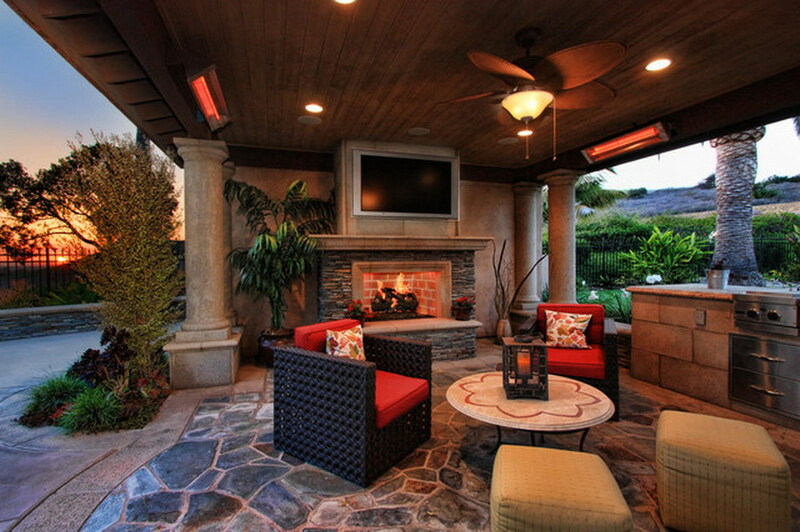 Outdoor living has become an integral part of our lives. It is something we look forward to. 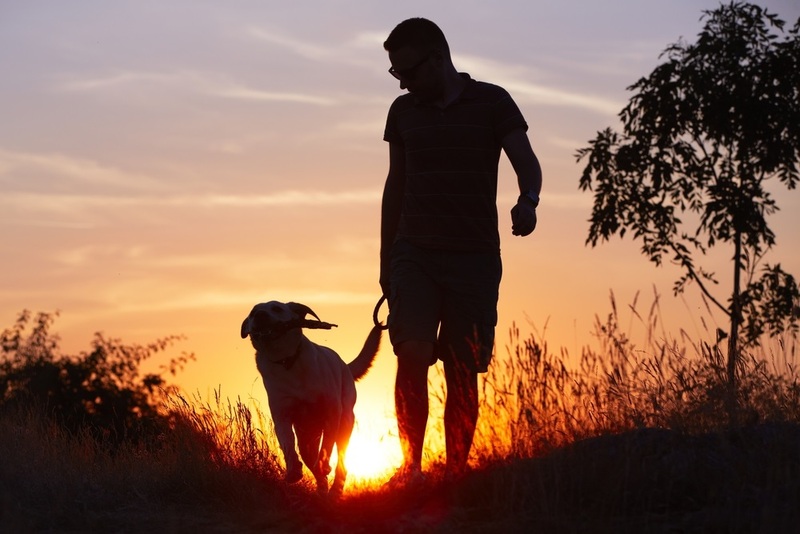 An escape from the everyday doldrums, stress of work, school and having to abide by stringent schedules. As more and more homeowners entertain outdoors and strive to make the most of this time, backyards have become extensions of interior spaces, complete with furniture and appliances. 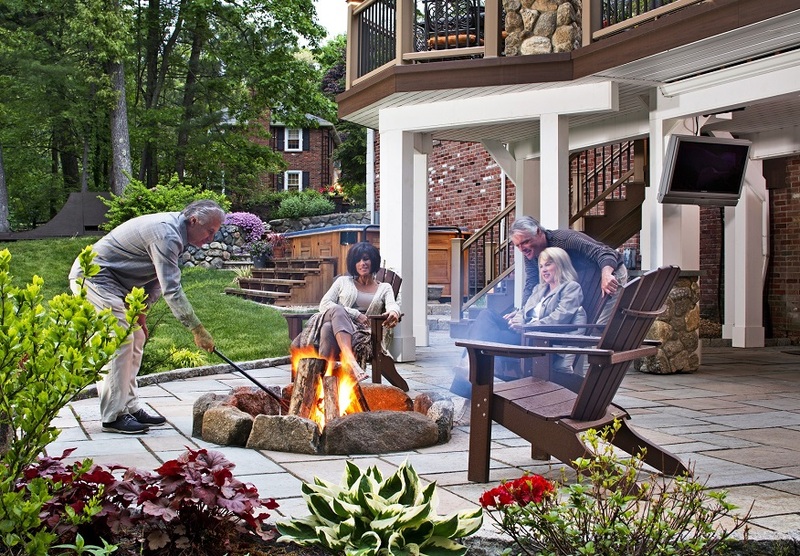 Going beyond basic decks or patios, Columbia homeowners now yearn for outdoor kitchens complete with all the amenities they enjoy indoors including areas designed with comfortable living and dining rooms, outdoor fireplaces, fire pits or maybe an outdoor TV. This low-maintenance deck on Lake Chapin, SC, gives the homeowners a way to enjoy the benefits of lakeside outdoor living. Built-in bench seating means no views were sacrificed in the design of this deck. 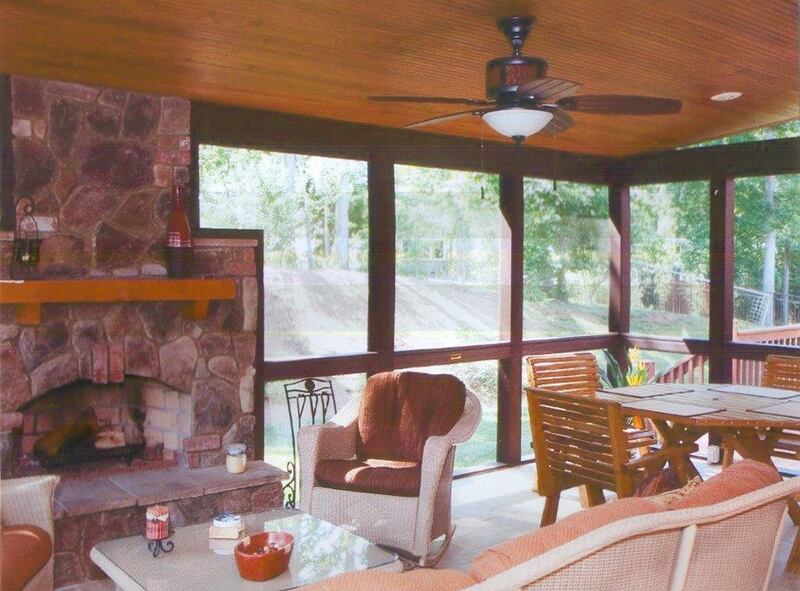 This screened porch addition boasts a clerestory ceiling compliments of the open gable and open rafter design. The completed structured provides a protected space for these Columbia homeowners to enjoy conversation and downtime without the worry of rain or insects! A detached covered porch serves as the ultimate outdoor destination for these NE Columbia residents. The deck was built using low-maintenance TimberTech decking allowing more time for outdoor enjoyment instead of the chore of maintenance. This deck and covered porch addition in Lexington, SC, serves as the “place to be” on game day. The covered porch showcases rustic pine ceilings adding to the appeal of the space as a comfy outdoor room where family and friends can gather. In Lexington, SC, this fabulous outdoor kitchen is just one element of this outdoor living oasis. The project includes a new elevated low-maintenance deck that was integrated into the homeowner’s existing gazebo and tiki hut. Since beginning Archadeck of Central SC over thirteen years ago, we have become the Columbia area’s premier builder for decks, sunrooms and porches. 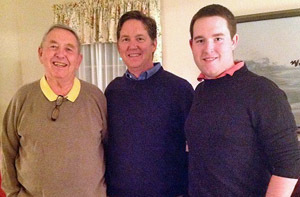 Our three-generation, family-owned company has created more than 750 outdoor living projects enabling our customers to take advantage of the natural beauty of the Central SC region and the mild climate we are fortunate enough to have almost year-round. Our devotion to excellence and experience means that we can translate your vision of the perfect outdoor living space through our custom designs. Contact Archadeck of Central SC to start living the way YOU want to live outdoors! 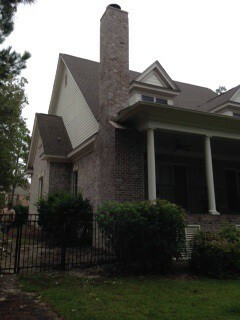 You can reach us at (803) 603 – 2160. You can also email us at centralsc@archadeck.net. This entry was posted in Custom Outdoor Fire Pits, Custom Outdoor Living Designer & Builder, Decks, Entertaining, Lakefront and lakeside decks, Outdoor Living, Outdoor Rooms, Porches and tagged Archadeck of Central SC, Archadeck of Central South Carolina, Columbia SC outdoor living, Columbia SC screened porches, Columbia SC TimberTech deck builder, Lake Murray SC Deck Builder, Lexington SC Covered Porch Builder, Lexington SC Deck Builder, Making your Columbia SC dream backyard a reality, NE Columbia Timbertech decks, TimberTech on September 2, 2016 by archadeckofcentralsc. 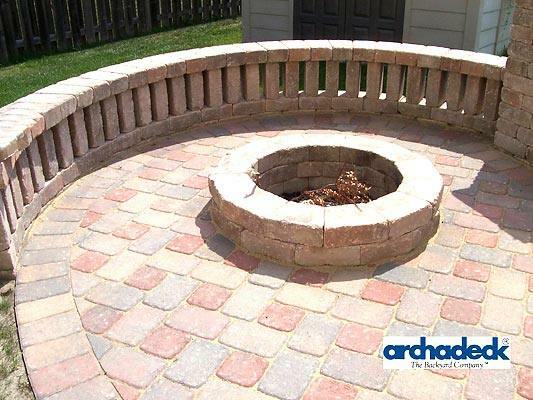 Enjoy your porch well into the Winter thanks to clever ideas from Archadeck of Central SC! Unlike decks and patios that are usually exposed to the elements, a porch that is screened and/or covered can extend your autumn and winter time outdoors even if it’s a tad chilly outside. There are plenty of ways to keep your Columbia, SC, porch warm and toasty this fall with some clever ideas that will keep your screened porch family-friendly in cold weather. 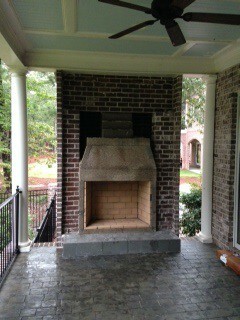 Adding a fireplace as part of your porch build is a terrific way to inject ambiance and real warmth into the space. 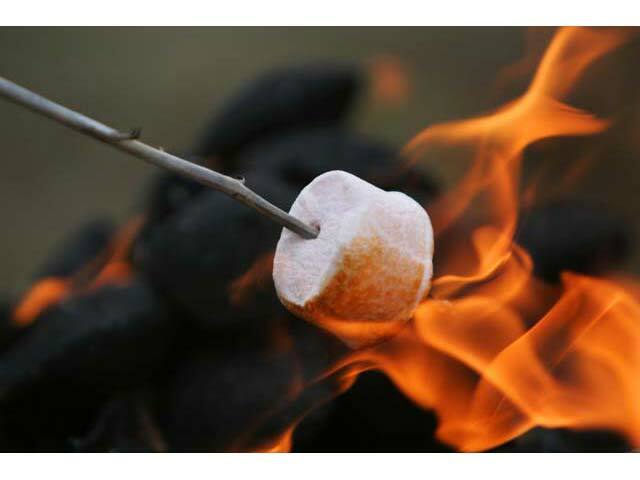 Whether it’s wood burning or gas, you can enjoy the cooler weather with the allure of the flicker of flames and the heat it provides. 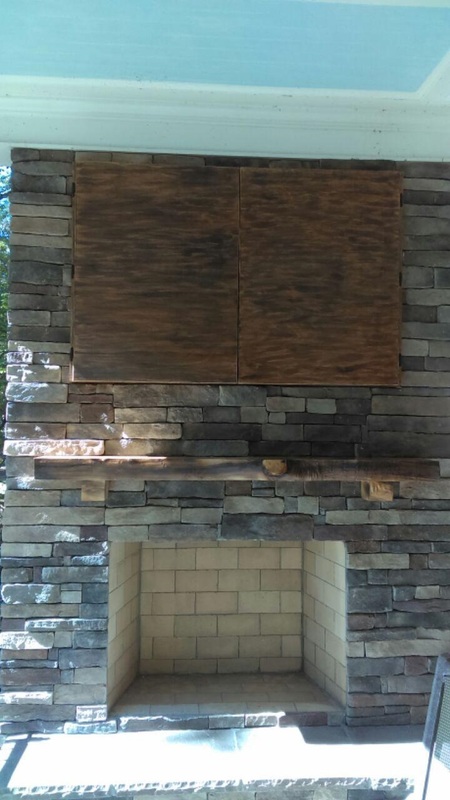 It is possible to add a fireplace to an already existing porch as well, and Archadeck of Central South Carolina can certainly help you do that if your previous builder did not put one in initially. A fireplace brings instant atmosphere to a porch and is the perfect spot to enjoy marshmallows and hot chocolate with the kids or a delightful outdoor dinner with wine for some romantic time with your love. 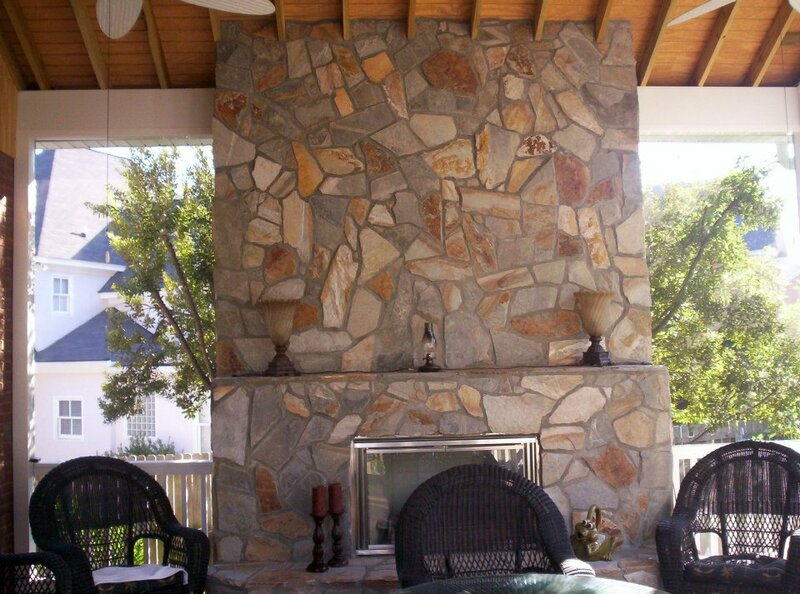 A fireplace turns your porch into a true outdoor room that is an extension of your indoor space and adds lots of value to your home. If budgets are tight or space does not allow, gorgeous outdoor space heaters give you the vibe of an outdoor fireplace with a smaller footprint and a modern flair. You can use an electric or gas one to get the job done in an attractive way that adds plenty of interest on a porch. These affordable heaters come in all shapes, sizes and styles—from traditional to modern—to fit any decorating scheme. There are those that are floor standing and others that you can pop on the table. Some are even ingeniously disguised to look like a lamp if you are worried about aesthetics. The key is to select one that is rated for outdoor use and specially designed to use in a covered area such as a porch. Custom wall/ceiling -mounted infrared heaters. Infrared electric heaters can be mounted onto the ceiling or even a wall so they are up and out of the way and push heat down into an open space. 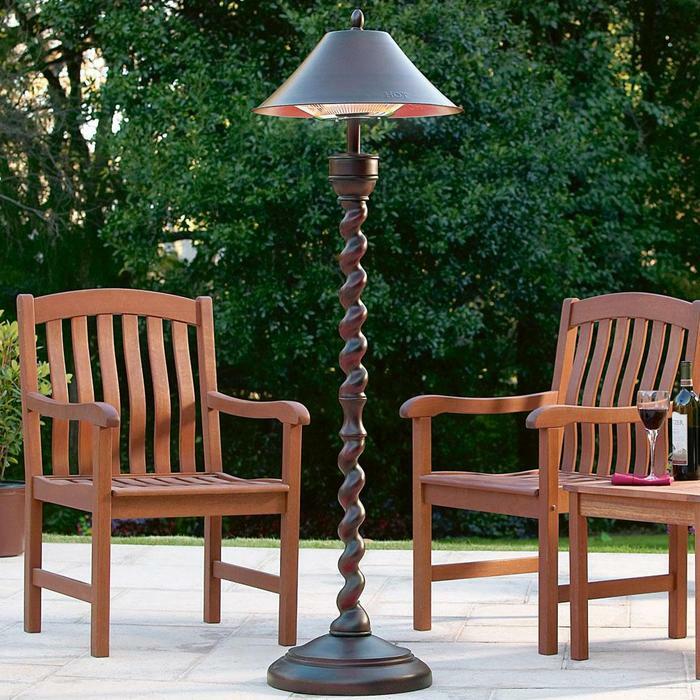 You may have noticed these in outdoor restaurant patios in colder temps, but these are now available for residential use, too. They work by using light to directly heat people within the space instead of heating the air itself, so they are the perfect solution for an open air situation. Instead of wasting money heating the entire area, infrared heaters simply warm those sitting near them. When strategically placed, they are economical and fairly efficient as well. 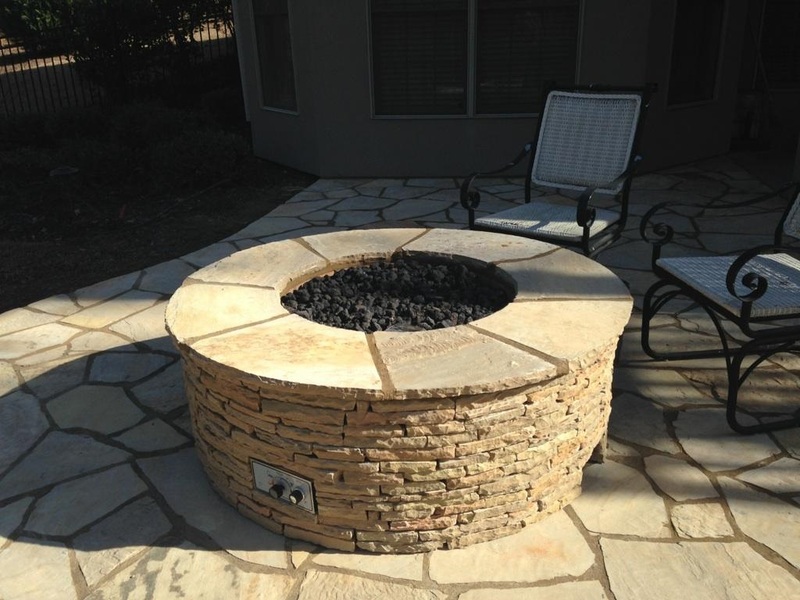 An outdoor fireplace can add rustic appeal to your outdoor room and keep the space warm in the cooler months. Since a porch is either open all around or screened in to protect from nasty bugs and poor weather, Archadeck of Central South Carolina gives you the option of turning your existing porch into a three or four season room. We can add a special enclosure that allows for a four-track panel window. This area can be heated in many different ways, from an economical space heater to a ductless heating system with a slim streamlined design or we can even integrate an outdoor fireplace into your porch design. If you want to enjoy a breeze on a beautiful day, you simply slide the window panels open and you are back to feel of a porch again. You get the best of both worlds! For more ideas on utilizing your porch and screened porch year-round, contact Archadeck of Central South Carolina today at (803) 603-2160 or via email at centralsc@archadeck.net. 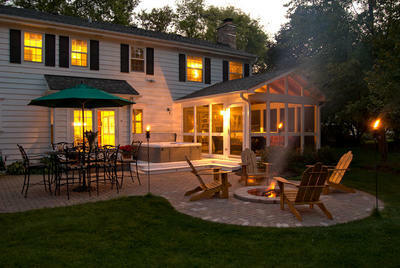 We have many options available to suit your needs and budget and keep you loving outdoor living season after season! This entry was posted in Custom Outdoor Fire Pits, Custom Outdoor Living Designer & Builder, Fireplace, Outdoor fun, Outdoor Living and tagged Archadeck of Central SC, Archadeck of Central South Carolina, Central SC combination outdoor living spaces, Central SC outdoor rooms, Columbia SC 4-season rooms, Columbia SC outdoor fireplace builder, Columbia SC outdoor living, How to ease winters chill on your Columbia SC porch, Ideas on how to utilize your Central SC porch throughout the winter, Ideas on keeping your screened porch warm during the winter on October 25, 2015 by archadeckofcentralsc.